Deerslayer and I have been to two different hunting camps since the season began. I’m eager to fill the empty spaces in the freezers and Deerslayer is eager to hunt. 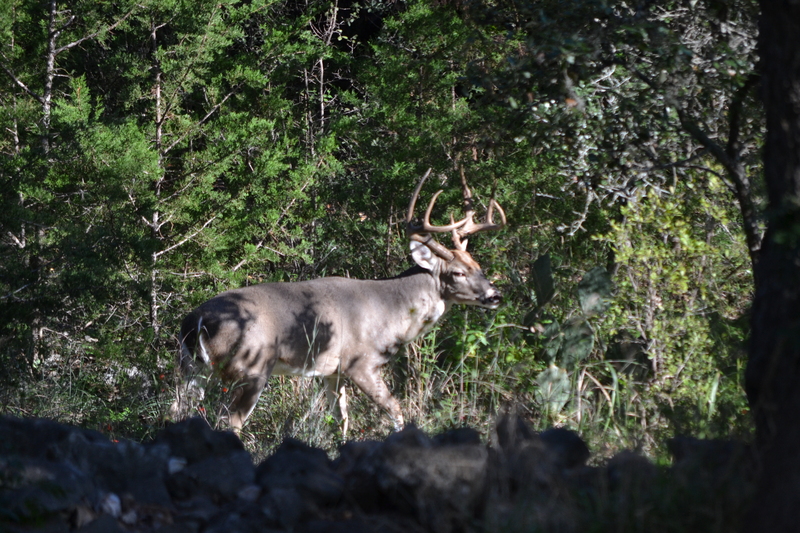 Thanksgiving was spent at a hunting camp in South Texas and, previously, we headed up to our camp north of the Hill Country. Which makes it all the more unfair when deer scamper freely around my mom’s yard, knowing full well that we can’t touch a hair on their amply antler-laden heads. They mock me as I practically have to push them out of the way to get to my car in the driveway. They dance and prance around the does with chocolates and flowers, reeking of Axe cologne. It’s infuriating! My mom has deer adorning her yard the way other people have lawn gnomes and pink flamingos. For those of you who are new to the Sisterhood of Deerslayers’ Wives, it’s important to note that bucks during the rut are dangerous critters. They are very territorial and pretty much have just one thing on their minds. Steer clear! There have been occasions where “lawn deer” have become aggressive and attacked people. 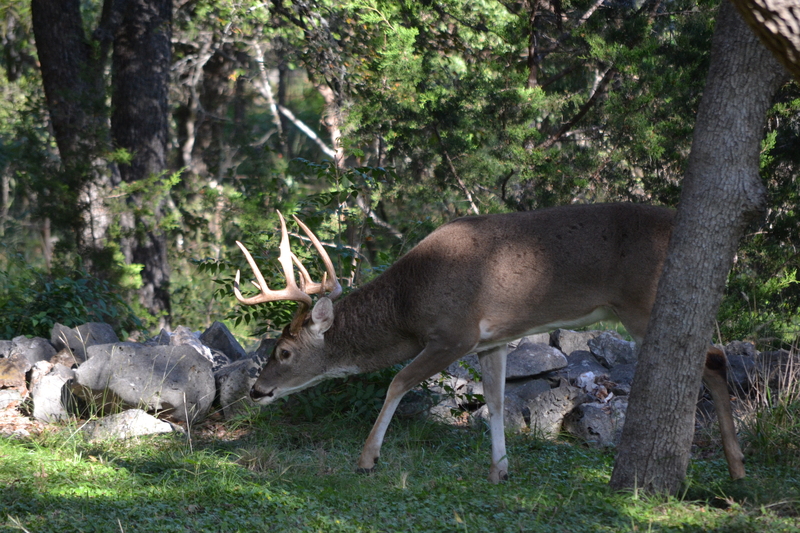 This almost always occurs during the rut (mating season). Have I been tempted to bring a couple of Yeti coolers to Mom’s house? Leave a trail of corn into a U-Haul trailer or the garage? I have to admit that we’ve joked about it and, yes, I’ve fantasized a little bit. But I’ll have to be satisfied to snap photos, and admire the beauty and majesty of God’s creatures. And head out to the hunting camp again! 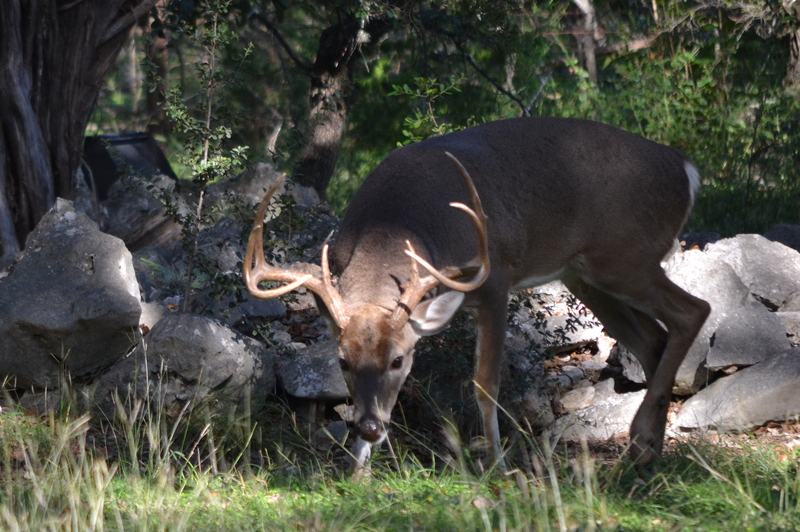 I’m “in between” deer leases in south Texas. My in laws place is in Sun City north of Austin and its covered in deer and turkeys. I hate visiting them during the fall, especially with no place near to hunt. The deer are so numerous and so tame. On manicured lawns deer look especially delicious! You don’t think the in-laws would mind if you set up a small blind in their yard, do ya? We saw some turkeys on our lease during the off-season. I love wild turkey; the meat not the drink. The deer have eluded me as well- two could have been first bucks. 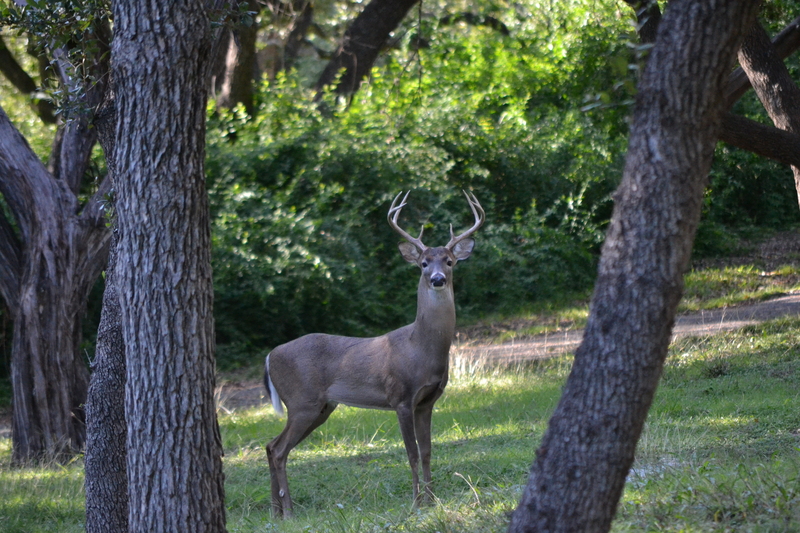 We at least have an antlerless holiday hunt on, then a second CWD season opens in our part of the state. Maybe I’ll finally have some luck, if the temperatures would get out of the single digits so I could bear being outside. I’m pretty tired of numb extremities. We’ve had deer wandering down our street at night, and a neighbor saw a 10 pointer, wandering confused, clothesline tangled around his antlers. Naturally, we were hunting elsewhere at the time.